Dental disease affects not only the mouth, but the entire body, including weight management, infection, and performance. A doctor’s exam can not only identify issues in the mouth, but early signs of other health issues or disease. Because a horse’s teeth continually erupt and wear throughout their life, regular heath checks are a must. Just like in humans, the health of the mouth greatly affects the health of the entire body. A horse than can’t eat well can’t maintain healthy body weight or take in proper nutrition. A horse in pain or fighting infection cannot perform at its best. Like any athlete, nutrition is key to performance and if they can’t chew well the entire digestive process and ability to take in nutrients is compromised. The most common problems in a horse’s mouth start with sharp enamel points forming on the cheek teeth that cause lacerations of the cheek and tongue. Most horses will show no noticeable signs of discomfort at all. Horses simply adapt to their discomfort – until the little problem becomes severe. At this point, treatments are more invasive and more costly. Keeping ahead of problems with annual care can keep your horse and your pocket book in better condition. The dental exam is not only a time to check teeth, but to look at your horse’s overall health. A thorough exam can identify problems with disease, digestion, or abnormal swelling early – increasing the opportunity to treat them, and potentially decreasing the cost of treatment. Your doctors job is to be a detective. And that starts with a careful exam of not only the mouth, but your whole horse. The first thing we need to know is the patient’s history. Is he starting to fight the bit? Has performance been off? These could be signs of underlying oral issues. Has your horse had a past issue with its heart or lungs? If so, normal sedation could be detrimental to your horse. Even an update on the consistency of your horse’s stool can provide important clues to issues with normal digestion. Next, a full body check is in store. Assessment of the overall attitude and body composition is key. It may bring to light other problems that are starting, such as an increased temperature due to an underlying infection, or abnormal masses or swelling beginning to form. The dental exam is a time for us to look at the general health of your horse, not just a known problem. Finally, the oral cavity is examined. Most often this is a visual evaluation of the mouth, gums, teeth, and soft tissues. Sometimes it can require radiographs to look at the roots of teeth. As your horse grows, its mouth is always changing. Regular maintenance and correction keep the teeth and jaw in good working order. It also can prevent lacerations from hooks or sharp points. Regular maintenance is not only gentler on your horse, but also less costly than fixing advanced issues. In younger horses our evaluation focuses on the proper erupting of the permanent teeth and jaw alignment. Retained caps or baby teeth can cause discomfort. Other common problems include issues due to mal-occlusion. For example, when the top arcade of teeth do not match up to the lower arcade of teeth there is lack of opposition. This will cause un-even wear and un-even growth, resulting in hooks, ramps, steps and even waves to form. The sooner we catch a problem, the easier it is to fix. That’s why, for horses 5-years-old and under, we recommend dental checks twice yearly. Mature horses should be examined at least once a year throughout their lifetime. While we’re still checking alignment and tooth issues, older horses have other risk factors to watch out for. Senior horses (17+) are at a greater risk for developing periodontal (gum) disease. Beyond the age of 20, tooth surfaces may be worn excessively and/or unevenly and dental alignment correction may be impossible.  Horses 20+ years should receive dental evaluation and nutrition counseling at least annually in order to maintain their conditioning and quality of life. With proper and routine dental care, horses can maintain functional dentition into their twenties and thirties. Just like humans, equine dental disease can cause pain and infection. Treatments often require sedation and anesthesia. Sometimes antibiotics are used to treat infection, and we may use anti-inflammatories for pain management. Prevention truly is the best medicine. Routine dental exams help us keep your horse healthy, active and performing at its best.